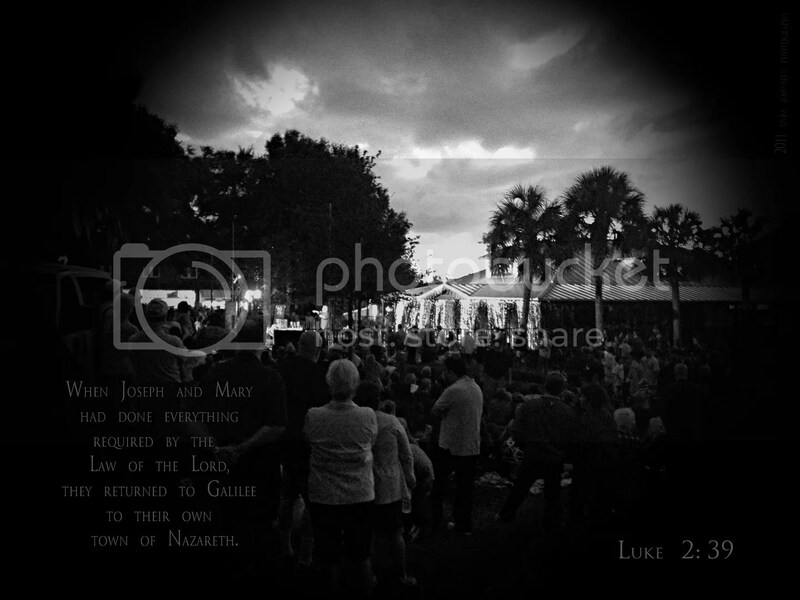 This past weekend, I attended a city Christmas celebration at a centrally located park. Vendors were selling food and drinks, the smell of popcorn filled the early nighttime air and entertainers took the stage, one after another in the outdoor venue. Part of the draw for attending the event was the "ahh" moment when a switch would be flipped and two million Christmas lights would suddenly come alive, all at once within the park. As I sat on a bedspread placed on the grass, I could hear the performers and announcers, but I could not see them because of the crowd in front of me. At one point in the evening, the emcee introduced a man who would be reciting a section from his own musical about Jesus as a child. I got up for this. Walking up in the crowd and to the side, I was able to position myself to see him from afar. As I listened to him speak, his words reached into my heart as my eyes hinted at tears. It was hard for me to speak through the emotion. Listening to his words about baby Jesus– spoken from the viewpoint of Joseph– was an experience that was new for me. Yes, it was wonderful to see them. Talented artists singing on stage? What I will most remember are the words about Jesus. Jesus and the two people God chose to care for Him–Mary and Joseph. Article is brilliant, thank u for sharing with us! One brief time spent pondering the Lord himself is worth more than days of fun. North face jackets sale at discount price! bby67ATqty Frequent he has been smuggling watches through traditions. That? ?s exactly what I need wow thanks! As the pioneer in the high end Fake Lovis Voitton handbags industry, we get all our products directly from the OEM manufacturers. With fine materials and under strict supervision, all of our Fake designer handbags are carefully made to achieve great looks as well as Replica TAG Heuer watches. Every piece of items you order will be promptly delivered to you in perfect shape, after the tight inspection of our QC team. Besides, the fact that no middle man is involved has lead to low prices we offer. Of course our success is not only due to the Breitling montres and low prices of our products but also the first-class customer service. Our shop has been rated as the Replica Designer Handbags provider by many zealous handbag addicts.